If you are new to the world of drones and you are looking to buy a drone for yourself or your child it can be very easy to get overwhelmed. This is why I created this site. To offer drone reviews, tips, videos, etc. that will help you buy your first drone. I love flying my drones and I’m sure you will too. More Expensive the Drone = Better Drone? What does it Cost to Buy a Good Drone? Get a Comfortable Budget in Mind (Drones around $500 usually fly for 20-25 mins. and Drones less than $200 normally fly for 6-10 mins.) A more professional, but usually easier to fly models, usually cost around $1000. Use Amazon to See What Drones are Most Popular. Note What Others Like or Don’t Like About a Drone they Bought. These are just some tips to get you started. If you continue to read we will go over each tip in greater detail. 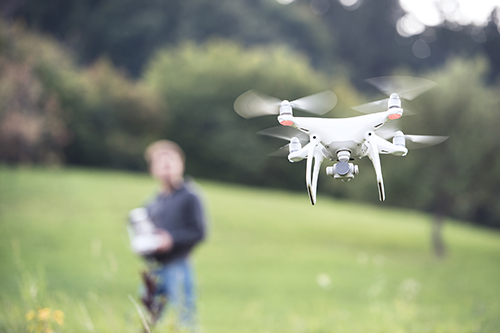 A Drone Buyer’s Guide…learn more about how to research, choose, and buy your first drone. First off, not all camera drones are equal. For instance, you can buy a small drone without a camera just to see if you like flying a drone. Some quadcopters are RTF (ready to fly), 4K, GPS guided, prosumer models that will cost you hundreds of dollars. Others are just toys. Something you take to the backyard and mess around with. The first drone I used was a toy like this. I turned it on, it flew up in the air and it kept on going until it landed on my neighbor’s roof. I had absolutely no control over the thing! I was like, “ I guess flying drones isn’t for me” So, I didn’t buy anything for years. When I got back into wanting a drone I was faced with a big question. 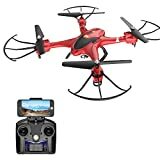 Should I buy a cheap drone to learn to fly on or buy something that costs more but has many more features to help me fly it more successfully? This is the question I kept asking myself during my research phase. There are numerous benefits of buying a lower priced drone for your first drone. It will allow you to learn how to fly, shoot video, and see what features you like or don’t like, without worrying about crashing something you just spent a month’s wages on. 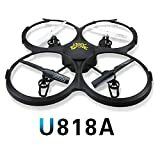 I would recommend a starting with a drone under $200. This will get a drone with a few more options and a little bit more durability. Then, after you’ve spent some time with that drone (and crashed a few times), you can then upgrade to a model somewhere in the $500-$700 range. My first drone was a Holy Stone HS 200. Of course, there are the drones that cost over $2000 with high-end DSLR cameras that are using for serious video and image capturing. You can always step up to this type of model whenever you are ready. Especially, if you plan on using a high-end drone like this for a commercial business. Side note: If you plan on using your drone for a commercial business, I highly recommend drone insurance which will protect your drone and any damage it may cause during flight. To learn more about drone safety and regulations click here. If you have read this far you are interested in getting your hands on a new drone and giving this hobby a try. If you are like me, you will ask yourself; I know I need to research, but where do I start and how can I trust all the different sources available online? The first thing I did was go to YouTube and start watching videos/reviews of drones. I didn’t want to watch videos of exciting drone footage, but I really wanted to see a drone from unboxing to its first flight. YouTube is your BEST friend. Good search terms to help you get started. Then, when you think you’ve found a few drones you may be interested start using YouTube to look at them specifically. This really helped me narrow down my choices as I was able to see someone actually using the drone. Don’t be over-awed by the many options available to you, use it to your advantage instead. Once you have it clear it in your head what you want, and how much you want to spend, it will become easier to narrow down your choices. I recommend coming up with a budget you are comfortable with very early in your buying process. Drones come in all shapes and sizes; a quick rule of thumb is that the more expensive a drone, the easier it will be to fly due to it’s better technology. After spending many, many hours researching a drone for myself, many experienced drone users recommend a drone less than $200 that you can really use to learn the basics of flying a drone. Then, when you upgrade to a more expensive drone with more technology you can really enjoy all the options. I started out with a Holy Stone 200 and just recently upgraded to an Autel X-Star Premium. When you get interested in a new hobby, there are often numerous terms that can really be confusing. Using a drone is no different. Becoming familiar with some of the terminology and features below will really help you when you start to compare drone features side by side. The Remote Controller (Specs/etc.) Phone attachment, built in screen, backlit screen, size, etc. Flight distance – How far and how high do you want to fly your drone. The FAA says you are not supposed to have the drone out of your visual eyesight, but most drones under $200 go about 100 meters, but if you go with a drone around the $200+ mark you can reach about 500 meters. Some drones on the more expensive end can go up to 4 miles like the DJI Mavic Pro. Drone Camera – Some things to think about are camera mount and gimbal, 4K, image stabilization, etc. Changing a Battery – How easy is it? Some of the lower priced drones don’t have batteries that slide in and out. They can be a little tricky when you want to change a battery. Drone Weight – If your drone is too light you will have a very difficult time flying it outside. With the drone I have, (Holy Stone HS200), if I try to fly in any wind over 5mph it becomes very hard. Other things to keep in mind when buying a drone. 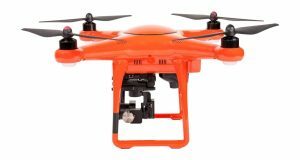 Warranties for most drones like the Autel X-Star generally last 1 year and cover all parts including the camera and gimbal. If your drone stops responding, breaks, crashes for no reason you want a drone manufacturer that will help you out. A company with great customer service is Autel Robotics. In addition, Holy Stone has very good comments regarding their customer service. I should Buy an Expensive Drone First Becuase it Won’t let me Crash it….WRONG! Due to the advancement of today’s cell phones drones have become even more popular. (and even easier to fly) Most drones over $100 have the option to either control the drone with just your cell phone or have the option to attach your cell phone to the controller. If you attach your cell phone to the controller you will have the option of using “live-feed”, which allows you to see exactly what your drone is seeing. With advancements in technology in recent years, quadcopters have benefitted hugely from additions such as cameras, GPS as well as better and more efficient designs that now allow the user to use the drone inside and outside. These devices are now small and lightweight making it easier to carry around as well as fly. Quadcopters have also been used for research into unmanned aerial vehicles (UAV) as a result of their efficiency. Even though drone and cell phone technology are constantly improving, you still have to know what you are doing because drones can be dangerous and you need to follow every safety precaution when flying a drone. Something will go wrong and you need to know what you are doing. It takes practice to learn how to fly your drone safely and effectively. Don’t be reckless. When you get your first drone practice doing the simple things as much as possible. (Practice Figure 8 flying at different height levels) Fly to a corner, turn it left, go to the left corner…rinse and repeat. You may have to fight your urges (as I did) to take it up super high and start flying over trees. Don’t. This is why I love the Autel X-Star Premium because it offers a beginner mode which won’t let me get too high in the air or too far away. Also, when you take it out of beginner modes you can still set up parameters for height, distance and drone speed which allows you to go a little further without fully taking off the training wheels. How Much Does it Cost to Buy a Good Drone with a Camera? Of course, you can go out and spend $100 on a drone with a little camera and be just fine. That being said, if you are interested in some higher-end models with more options the prices can increase very fast. If you are like me, after you fly your first drone you will be hooked. It won’t be long before you are staring lovingly at a model just under $1000. DJI is one of the most well-known companies when it comes to quadrotors/drones and has a great reputation. The ‘Phantom 3’ is their most popular product and in many people’s opinion, the best. The Phantom 3 offers live HD streaming, 12-megapixel photos, a detailed app as well as 20 minutes flight time. You can currently find this particular drone less than $500. It is notoriously easy to fly making it perfect for beginners. (See our review here) On the other hand, there are some real horror stories related to their customer service. Just search “DJI and customer service” and you will read some real customers service horror stories. A drone manufacturer with a great customer service track record, and that’s American based is the Autel Robotics. They have a great website with great video tutorials, common questions, tips, etc. This is why, after a ton of research I decided to buy the Autel X-Star Premium for myself. Another option, If you wanted something away from DJI, is the Yuneec Q500 4K which offers something slightly different. 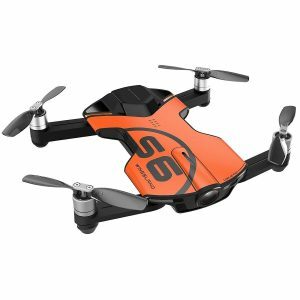 As the name suggests, the camera shoots 4k video and is also detachable from the quadrotor so can be used as a handheld device. The company isn’t as well-known as DJI so their products aren’t as popular but they still offer a great drone and one that should be considered at around $700. Are You Ready to buy a Drone Now? When thinking of buying a drone you need to first consider exactly what it is going to be used for along with a few other items to think about. Do you have areas near you that are safe to fly a drone? What features are important to you – flight time, ease of use, FPV, etc. Deciding on how you will be using your drone will allow you to narrow down a price point you are comfortable with. The main things that you need to consider when it comes to drones are quality, features, value and finally, ease of use, and customer service. When looking at a drone, make sure that you take all four factors into consideration and decide how they apply to you. For example, if you are a beginner, you will want a product that is fairly easy to fly and keep in the air. Below is a video on the 4 Things you should know before buying a drone. Line of sight – The pilot can see their quadcopter during flight. FPV (First Person View) — The pilot can see where they’re flying through the UAVs camera. Transmitter/Remote Control – The hand-held device that allows you to maneuver the quadcopter and adjust its settings. Propellers – They spin according to the manual controls of the pilot. The intensity of the spin correlates to the intensity of the quadcopter movement. Roll – Done by pushing the right stick to the left or right. Literally rolls the quadcopter, which maneuvers the quadcopter left or right. Pitch – Done by pushing the right stick forwards or backwards. Tilts the quadcopter, which maneuvers the quadcopter forwards or backwards. Yaw – Done by pushing the left stick to the left or to the right. Rotates the quadcopter left or right. Points the front of the copter different directions and helps with changing directions while flying. Throttle – To increase, push the left stick forwards. To decrease, pull the left stick backwards. This adjusts the altitude, or height, of the quadcopter. Trim – Buttons on the remote control that help you adjust roll, pitch, yaw, and throttle if they are off balance. Bank turn – A consistent circular turn in either the clockwise or counterclockwise direction. Hovering – Staying in the same position while airborne. Done by controlling the throttle. Figure 8 – Flying in a “figure 8” pattern. Manual – Similar to flying a helicopter. Once you tilt the quadcopter (roll) it will not auto-level itself back to its original position. Even if you let go of the stick and it returns to the middle, the quadcopter will stay tilted. Attitude (Auto-level) – Once the sticks are centered, the copter will level itself out. GPS Hold – Returns the quadcopter position once the sticks have been centered. The same as attitude mode (auto-level) but using a GPS. Orbit – The drone will fly around a specific point at a specific height. Since drones are so fun to fly it’s not difficult to see why drones have become so popular. Drones have even become a larger part of our work force too. Drones are now also used for surveying of crops, counting animals in a certain area, looking over a crowd among many others. Drones have managed to change the way that many industries are run and have also allowed many businesses to become more efficient. Drones have also helped to increase safety and also contribute when it comes to saving lives. Forest fires and natural disasters can be monitored and the drone can be used to alert the relevant authorities of anyone that is in trouble and in need of help. The exact location of these events can also be found with ease. Drones have also become a hobby for many people around the world. In the US, recreational use of such a device is legal; however, the owner has to take some precautions when attempting to fly. The aircraft must adhere to certain guidelines that have been laid out; for example, the device cannot be more than 55 pounds. The drone should also avoid being used in a way that will interfere with airport operations and if a drone is flown within five miles of an airport, the airport’s traffic control tower must be made aware beforehand. To get the drone that suits your exact needs, be sure to consider your budget, flight time requirements and the other facts mentioned above. Most drones that are available nowadays come with a built-in camera and a high-quality one at that. If you own an old quadrotor and are looking to attach a camera of your own then a ‘GoPro’ camera is a good option however, you do have to consider the vibrations of the drone as this will affect the quality of the pictures that you take as well as the videos that you shoot. Built-in cameras offer a much more reliable quality consistently. 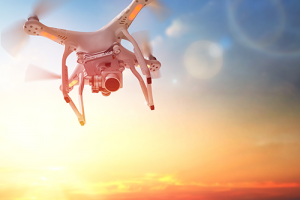 Before shooting your first video you may also want to invest in a transmitter that will allow you to increase the range of connectivity when flying as well as broadcast video live from your drone. When you ask someone what they think of when you say ‘drone’ they will often head straight towards the military when in fact, the commercial drones market is more lucrative. The commercial drones industry is growing by approximately 20% every single year and the industry has expanded as a result. The introduction of high-quality cameras and efficient GPS coupled with sleek design has meant that more people use quadcopters for recreational use than ever before. DJI, a Chinese company founded in 2006, is the market leader in recreational drones and is set to hit $1 billion in revenue next year. With a product range that includes the Phantom 3 and the Inspire 1, their products are widely used around the world in a number of different industries including farming and policing. DJI’s devices have also been associated with the solution to many natural disasters as drones can be used to hunt for hurricanes or search for the cause of a forest fire and help to keep the fire under control. Their products now offer customers high-quality photo and video recording abilities, efficient GPS systems, and application support. An app provided by DJI allows its customers to change settings on the drone to ensure the highest possible picture quality, stream 4k (60fps) video straight to an iOS or android device and access in-flight telemetry. It is believed that by the year 2025, commercial drones could be responsible for billions of dollars in the economy. Over 100,000 jobs will be attributed to the drone market which in turn creates a significant amount of money in tax and there are no signs of this slowing down anytime soon. The industry is booming and that is exactly what a high-investment market needs. The fact that these companies are doing so well means that they are able to reinvest in bigger and better products with even more features which will, in turn, help the market to grow even more. It is a never-ending positive cycle that will not be broken while people have a healthy amount of disposable income. Could it be long before these drones are being used without any human involvement at all? The US Federal Aviation Administration (FAA) has predicted that in just three years, these drones or quadrotors will be able to complete jobs such as delivering parcels without any human oversight whatsoever. The drone market is constantly changing and the rules and regulations are always changing as a result. For now, drones can only be flown in a position where they can be seen by the user but many industries want this law changed so that they can use the quadcopters more efficiently. For example, a train company wants to know exactly where the rail is broken which can be a tricky procedure if the drone has to be in sight at all times. This is something that the FAA is likely to consider as it can also help to save lives by preventing workers from entering potentially dangerous situations. With new technologies being announced every single year, who or what is going to stop this unprecedented market growth for the commercial drone market? FAA – where can I fly app?